The BLITZ Realize TT-R exhaust systems are built to the same high standards and specifications of the TT but are built fully from SUS304 stainless steel, including all pipework and flanges. They are designed to reduce back pressure and improve performance, whilst giving the car a deeper and more sporty exhaust note. The tail pipes are usually 4 to 4 ½ inches in diameter (depending on application) and have the Blitz logo engraved on the top of the pipe. 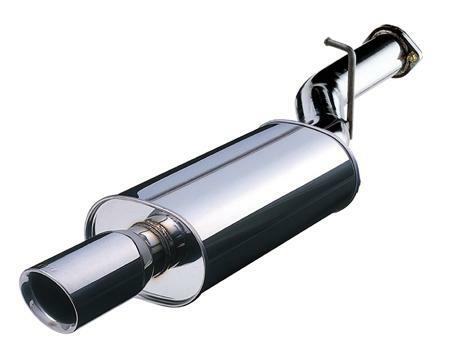 There is a huge range of BLITZ Realize TT exhausts available covering most Japanese cars. Unlike the Nur Spec series they are made from a specially coated mild steel and feature a stainless steel back box and tail pipe.